Lots of TLC is given to this charming two bedroom, one bath located on the bottom level of this Victorian triplex - a perfect vacation rental for a couple or small family. Enjoy the partial ocean views from the front porch, which is great for lounging around or barbecuing. Accommodations include a queen bed in the master bedroom, single size bunk beds in second bedroom, as well as a single day bed in the family room. It also has a 32-inch flat panel TV with satellite, DVD player, VCR and fully equipped kitchen. This property is located approximately 2 1/2 blocks from the beach and downtown. No smoking, please. The carpet was extremely stained and not very pleasing to the eye. The ants in the bunk room didn't remedy the situation, either. Other than that, everything was great and it served its purpose as a place to sleep in at night. Very disappointed. Not up to the standards we are used to from VRBO. Ceiling above bunk bed had popcorn ceiling flakes falling on top bunk and the occupant. Coffee pot did not work. Can opener was broken. TV did not have proper instructions for the model in the unit. Had to call for help at least 4 to 5 times. Barbeque had rusted grill, therefore we could not use it. Etc, etc. Paula, we're very sorry you encountered this issues at your Catalina rental. Many of these things are problems we can address. Thank you for making us aware of them. This was an adorable place to stay. The queen bed I slept on was very comfortable. The decor is victorian like, with pink toilet seat and dark pink carpet...it's abit old fashioned but cute. Only warning I have is that you have to climb up a flight of stairs, in case anyone has problems with that, and it's located on an incline hill. It was a great price and I'd definitely stay here again. Good location and a good value for the money. 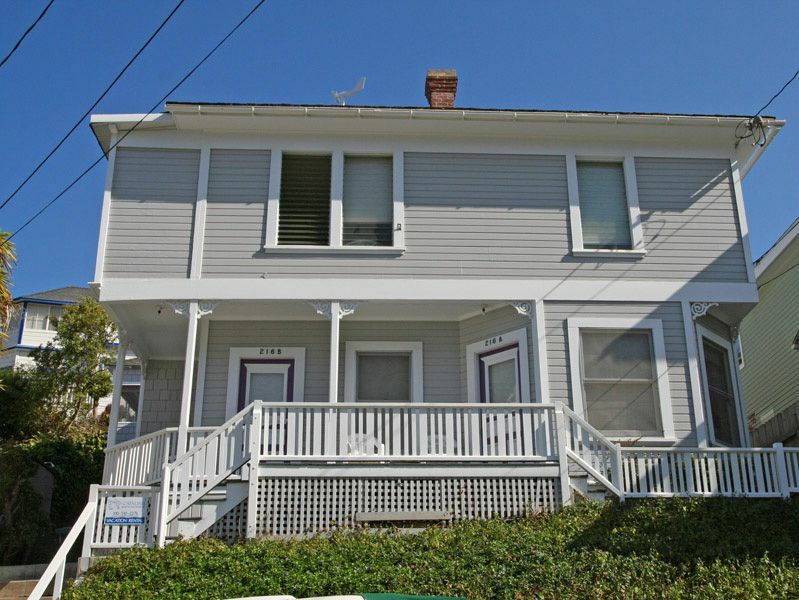 This property was within walking distance of the ferry and had 2 bedrooms which is good for 2 adults traveling together. The check in was easy and they let us in early. There are views from the front porch and the space was adequate. My only complaint was that the carpet was filthy and the decor very outdated.The beds were comfy and everything else was adequate. Overall a good value for the money. Stayed here with another couple. Loved the location. Would have been much better if it came with a golf cart. Would be willing to pay a higher rate. I loved it! Can't wait to go back!